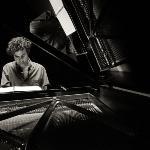 Pianist and composer Gerardo Jerez Le Cam's music is a celebration of the hybrid identity of the 21st century musician. Jerez Le Cam was born in Buenos Aires and grew up steeped in his home country's biggest export: the tango. He conducted operas and played in classical and contemporary groups before moving to France. There he played and studied an array of European music. Given such disparate influences, it's no surprise Jerez le Cam's sound is a striking fusion of methodologies. 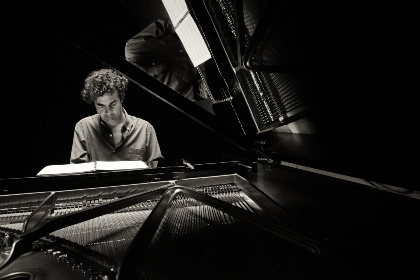 He combines tango with breathless Balkan music and decorous, contemplative classical styles. It would be heretical if it were not so irresistible. Jerez le Cam has released 17 albums thus far. In 2016, he recorded the album Reflejos Migrantes with Iacob Maciuca on violin, Mihai Trestian on cimbalom and Manu Comté playing bandoneon. The four - collectively known as the Jerez le Cam Quartet - will play a number of selections from that recording in their showcase.